“….and therefore, two kinds of reactions are possible on the defending side, depending whether the attacker is to perish by the sword or by his own exertions. A recent estimate for the cost of the war in Afghanistan by the Congressional Research Office is $443 billion dollars to occupy and fight a Pakistani-supported insurgency in a primitive country whose annual GDP is a mere $ 27 billion. A figure that itself inflated by $ 3-4 billion is remittances, $ 4 billion in NGO aid and $14 billion in direct US aid (2010 figure); when you then subtract opium smuggling ($ 4 billion), Afghanistan’s legitimate economic activity may only be a miniscule GDP of $ 2 – 3 billion. This does not, of course, include the cost of ten years of lavish bribes for Pakistan, a portion of which was used by the ISI to support the Taliban killing American and ISAF soldiers and Afghan civilians. ….Since the ‘war to end all wars’, however, war has not exactly stood still. Although the US Defense Logistics Agency rather quaintly describes its mission in terms of a supply chain extending ‘from factory to foxhole’, it is, above all, the mobility of military violence that is central to the conduct of late modern war. 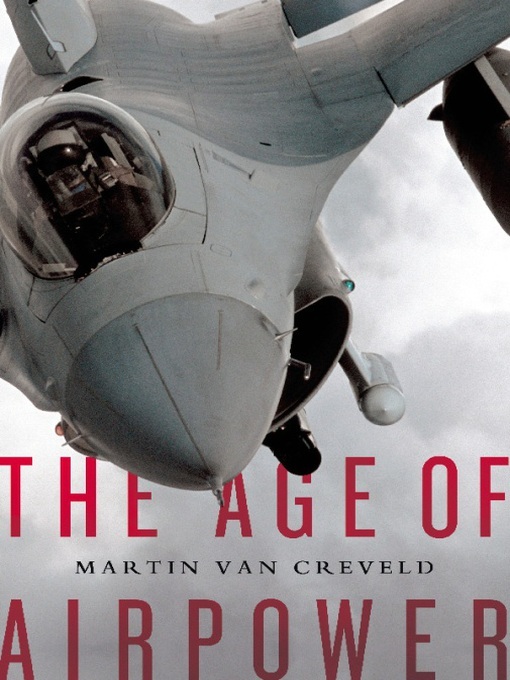 But Creveld is adamant that since 1945 the operational freedom of modern ground forces has not markedly increased, not least because their prized mobility is absolutely dependent on supplies of petrol and gasoline. Since the end of the Second World War the use of petroleum-based fuels by the US military has soared, and as its stripped-down forces have been expected to do more with less (through technological change and outsourcing) so the fuel expended per soldier has increased by 175 per cent to an average of 22 gallons (83 litres) per day. [viii] As Obama had US forces ‘surge’ into Afghanistan in 2009 so ISAF’s daily fuel consumption rocketed from two million to over four million litres a day. Given these volumes, it is scarcely surprising that the death-dealing capacities of the US military and its allies should have been tied in knots by ‘umbilical cords’ far more convoluted than Creveld could ever have imagined. Neither war nor strategy are a hard science like physics. That said, there are fields of study and investigation that while not being a science are, like physics, inherently about systems or systemic relationships. Economics and engineering are two such examples, strategy is another. Because of this similarity, it is often profitable to employ metaphors or analogies from physics to illustrate strategic problems, as Clausewitz famously did in On War with “friction” and “center of gravity“. “Diffusion” might be another analogy for statesmen and soldiers to keep in mind. Military force, or more broadly, national power marshaled and employed toward a vital objective represents a potent concentration of energy like a red hot iron bar. Thrust deeply into a trough of ice water, the surface of the water yields to the mass and heat of the iron bar in a furious burst of steam and boiling turbulence. Keep the bar submerged and every erg of heat will be sapped out of it by the water and the iron will emerge cold, tempered by the experience and inert. Keep the bar submerged long enough and the water will begin to rust the iron away until nothing is left. Vast spaces, hostile populaces and deeply impoverished environments are like ice water to the molten heat of an invading power, as we have discovered in Afghanistan. ….Throughout the fall of 1812, Napoleon waited in vain for Alexander’s peace proposals to arrive in the Kremlin. When none came, he made overtures of his own, but Alexander sent no reply. As the days stretched into weeks, Napoleon came to see that he, not Alexander, faced a truly desperate situation, for Russia’s armies grew stronger by the day while his own dwindled from desertions and the ravages of disease. He faced the hopeless prospect of wintering in Russia without adequate food, shelter, or supplies, surrounded by a people so hostile that they burned their grain rather than sell it for French gold. 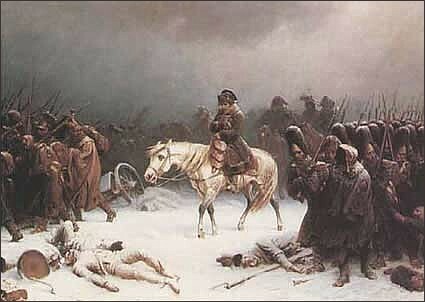 As winter approached, and as the Russian partisans stepped up their attacks on his rear, Napoleon saw that his line of communications, which relied upon a perilously vulnerable corps of couriers who raced from Paris to Moscow in fourteen days, must soon collapse. Of the Grand Armee, only five thousand returned home from the snowy wastes of Russia alive. The Wehrmacht did little better. Hitler’s imagined drive to the Urals without a surrender and territorial concession by Stalin was a fantastical ambition. The far-flung distance, roadless mud and icy snow alone were too much for panzer armies and Luftwaffe air wings that proceeded to break down with statistical certainty. Supply lines were too long; gasoline and replacement parts were too few, as were replacements for the men for whom the Eastern Front was a grave. To the dogged resistance of the Red Army, the Germans needlessly added the people’s rage of the Russian partisans by demonstrating to the peasantry that the NKVD held no monopoly on atrocity. Imperial Japan’s coterminous war in China tells exactly the same unhappy tale. William Lind and the 4GW school used to like to make the point, regarding your moral and political legitimacy, that ” If you fight the weak, you become weak”. The corollary to that is economic: “If you fight the poor, you become poor”. Grinding poverty itself is a tax upon the invading force. There are no resources for your army to comandeer or buy, no skilled manpower to requisition or hire, no infrastructure for them to use. All of that must be imported and built at great expense by the invader whose troops are accustomed to far less spartan environs. The local population is usually malnourished, illiterate, ignorant, suspicious of outsiders and rife with disease; their living habits and water sources unsanitary and endanger the troops. Caring for the locals, even minimal administration of humanitarian aid, becomes a bureaucratic and logistical burden consuming time and diverting resources away from urgent military needs. The United States under George Bush the Elder, entered into Somalia, a land beset by violent anarchy and it’s people in the grip of a terrible famine and was driven out shortly thereafter under Bill Clinton. The last scenes there being the emaciated Somali followers of a two-bit warlord,Mohammed Farah Aidid, gleefully swarming over and looting our military’s former…. garbage dump. When the enemy has a land so poor that he treasures and makes use of the crap you throw away, the economic spillover of your logistical supply lines will fund his war against you. Used to surviving on bare subsistence, the invader’s presence becomes an economic bonanza for resistance and collaborator alike. Sort of a highly kinetic form of military Keynesianism. The war itself and the occupation become an irreplaceable cornerstone of their economy. They hate you being there, but can’t afford to defeat you and drive you out either – making a “quagmire” irregular conflict their ideal economic equilibrium to maintain. What lessons can we draw here? If a political settlement is impossible because the problem is intractable, avoid involvement. If you cannot avoid getting involved (i.e. -you were attacked) your best option is to engage in a punitive expedition to destroy the war-making capacity of the enemy and impose ruinous costs and then immediately leave. Keep campaigns short. In operation, military power is a terrible, swift sword and you should sheathe it just as quickly. Ruling over enemy population is a wasteful, thankless, burden not to be undertaken except in extremis (Reconstruction and occupation of Germany and Japan were in extremis cases). Maximum gains accrue from the most effective use of the smallest possible force in the shortest period of time. Make an army large enough and the enemy will become a secondary or tertiary concern of its leaders. Q: It is stated that Operations Rolling Thunder in Vietnam was the wrong way of using airpower in order to break the will of an opponent. Why? And which is the right way? MvC: As Jesus once said, by their fruit will thou know them. Given the vast cost of Rolling Thunder, and the meager results it yielded, there can be no question that it was a foolish waste of resources. It was only made possible by the fact that it was carried out by the richest nation in history at the very peak of its economic power and psychological hubris. The real question is, had the “gradual approach” been replaced by a short, sharp, all-out attack, would it have worked any better? To my mind the answer is almost certainly negative. Look at “Shock and Awe” as carried out both in Afghanistan and in Iraq. Both of these offensives employed weapons infinitely more sophisticated, and in many ways much more powerful, than the ones the Americans used in Vietnam almost forty years earlier (though some aircraft, notably the venerable B-52s, may well have taken part in both campaigns). Both depended their success, if indeed one can talk of success, on the presence of troops of the ground. Vietnam, though, was primarily a guerrilla war. Expanding ground operations into North Vietnam, as some in Washington DC demanded, would merely have made things even more difficult for the Americans. Adam has his take on the Infinity article. In the twenty-first century, wars are not won when the enemy army is defeated on the battlefield; in fact, there may not be a uniformed enemy to fight at all. Instead, a war is only won when the conditions that spawned armed conflict have been changed. Fielding first rate conventional militaries of local or regional “reach” are inordinately expensive propositions and only the United States maintains one with global power projection capabilities and a logistical tail that can fight wars that are both far away and of long duration. Economics, nuclear weapons, asymmetrical disparities in conventional firepower, globalization and the revolution in information technology that permits open-source warfare have incentivized warfare on the cheap and stealthy at the expense of classic state on state warfare. The predictions of Martin van Creveld in The Transformation of War are coming to pass – war has ratcheted downward from armies to networks and blurs into crime and tribalism. In this scenario, kinetics can no longer be neatly divorced from politics – or economics, sociology, history and culture. “Legitimacy”, stemming from getting actions on the mental and moral levels of war right, matter tremendously. ‘Decisive results’ in the twenty-first century will come not when we wipe a piece of land clean of enemy forces, but when we protect its people and allow them to control their territory in a manner consistent with the norms of the civilised world. This is “Shrinking the Gap” to use Thomas P.M. Barnett’s phrase. The remediation of failing and failed states not to “utopia” but basic functionality that permits a responsible exercise of sovereignty and positive connectivity with the rest of the world. Thus victory in Iraq and Afghanistan will come when those nations enjoy governments that meet the basic needs and garner the support of all of their peoples. Taken literally, Nagl errs here with two polyglot regions, especially Afghanistan where the popular expectation of a “good” central government is one that eschews excessive meddling while providing – or rather presiding over – social stability and peace. Taken more broadly to mean a gruff acceptance by the people of the legitimacy of their state so they do not take up arms ( or put them down), then nagl is on target. Realism about our own interests vs. global needs and our own finite resources requires a ” good enough” standard be in place. Winning the Global War on Terror is an even more challenging task; victory in the Long War requires the strengthening of literally dozens of governments afflicted by insurgents who are radicalised by hatred and inspired by fear. We might want to consider prophylactic efforts to strengthen weak states prior to a major crisis arising – more bang for our buck – and this should be a major task of AFRICOM. Strengthen the Botswanas, Malis and Zambias before wading hip-deep into the Congo. Nagl has internalized an important point. The “jointness” forced upon the U.S. military by the Goldwater-Nichols Act in the late 1980’s and 1990’s needs to be broadened, first into true “interagency operational jointness” of American assets then into a full-fledged “System Administration” umbrella that can integrate IGO’s, NGO’s, and the private sector along with military-governmental entities to maximize impact. Like SecDef Robert Gates, LTC. Nagl “gets it” and we can hope now that he has joined the ranks of policy wonks that an administration job is in his future. Check out this post at Kings of War – highly relevant. Cheryl Rofer of Whirledview recently proposed a “blog tank” on the question of American Nuclear Policy, a subject currently undergoing reexamination by the Bush administration under strong Congressional pressure to do so. The answers have not come easily to the deep thinkers at the Department of Defense and the think tanks that inhabit the Beltway because, by and large, their strategic assumptions about how the world is supposed to work underwent profound shifts from 1991-2001. The ten year interregnum between the collapse of Communism and September 11 featured unprecedented economic globalization, information revolution and centrifugal decentralization that have rendered the massive Russian and American nuclear arsenals of the bipolar, Cold War, world not obsolete, but obscure. What role do nuclear weapons serve in assuring America’s national security, vital interests or preservation of global peace and stability ? Against whom or what are these weapons to be directed? It is important to note that American nuclear policy and warfighting doctrine during the Cold War were as much products of bureaucratic evolution within nation-states as they were of calm, theoretical, reflection by defense intellectuals or interstate diplomatic agreements like START, SALT, ABM and the NPT. Nagasaki was bombed almost on a political “automatic pilot” as a result of top secret decisions made during FDR’s tenure with the new president, Harry Truman being told that the city was a “military target” ( “Much like New York city was a military target” McGeorge Bundy was known to later quip). 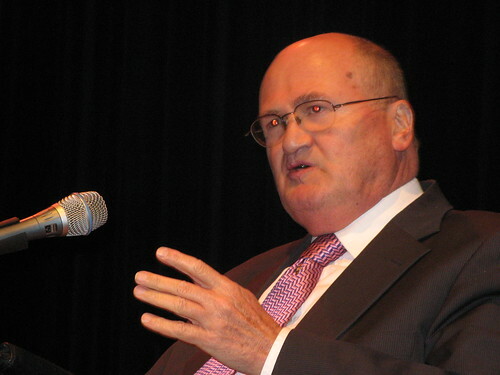 Even as Truman’s key adviser and later Secretary of State, James F. Byrnes (“Mr. Atomic Bomb”) was trying to use the bomb’s existence in a hamhanded way to maximize American diplomatic leverage, a privately worried Truman removed control of atomic bombs from the hands of the U.S. military and put them firmly under civilian and most importantly, presidential, authority. When General of the Army Douglas MacArthur insubordinately continued to agitate for the use of atomic bombs against Red China during the Korean War, Truman fired him. Dwight Eisenhower shared Truman’s misgivings about allowing an erosion of civilian authority over the military and he deliberately relied upon American dominance in atomic and hydrogen bombs and SAC to enunciate a doctrine of “massive retaliation” that helped keep Soviet armies contained while keeping the American Army small ( and cheap). The combination of increasing thermonuclear megatonnage, multiplying numbers of warheads and ICBM’s as an emerging delivery system resulted in a paradoxical situation of radical “overkill” in America’s nuclear posture by 1960, an arsenal that could hardly be used in our defense without also threatening the existence of all life on earth. With “Massive Retaliation” having come to a dead end, from the Kennedy administration forward to the collapse of the USSR during the administration of George H.W. Bush, American presidents attempted to apply rational limitations to nuclear arms in conjunction with Soviet leaders and in partnership with key NATO allies. A retreat away from assured apocalypse and toward “selective options” and targeting enemy “command and control” and hopefully, human or even national survival. In a large measure, the absence of great power warfare, nuclear proliferation and the granular devolution of warfare represent the strategic legacy that the Cold War has bequeathed to the 21st century and constitute major problems in crafting a new American nuclear policy. What to do then ? As WWII resulted in approximately 60 million deaths, American national interests are served by a continued general suppression of great power warfare provided for my American and Russian nuclear preeminence (and the astronomical costs of attempting to field a high-tech military that can play on the same battlefield as the United States). That being said, there remains considerable room for nuclear arms reductions by both Russia and the United States without endangering the comparative advantage that inhibits third parties from engaging in a new arms race; these further reductions in nuclear arsenals should come only jointly, and in return for a dramatic strengthening the Non-Proliferation regime to which non-nuclear states adhere. “Linkage” to other, unrelated but “incentivizing” issues should be considered to draw in the most likely would-be new nuclear powers. A diplomatic “Come in from the Cold” option for *all* rogue states enmeshed with terrorism and WMD proliferation threats to follow the path of Libya, receiving diplomatic and economic normalization and security from “regime change” in return for transparently divesting themselves of threatening or injurious activities. An international “quick reaction” agreement in place in case of a nuclear club member undergoing state failure and anarchy that imposes nuclear security obligations on all nuclear weapons powers and an intervention process until a new government can exercise responsibility obver the nuclear arsenal. Pakistan is the poster-boy candidate here but we should not oversetimate how quickly seeemingly secure states can disintegrate. We were all very lucky in 1991. Clarification of American nuclear targeting doctrine regarding hostile states attempting to acquire nuclear arms or engage in “first-use” against American allies or sponsor non-state actors who use WMDs in terrorist attacks. We should be both credible and clear. Conventional alternatives to nuclear weapons ( “bunker busters”, EMP bombs etc.) should be pursued. Recognition that while no “near peer” nuclear threat toward the United States exists today, this cannot be an assumption for all time. How many of us, in 1985, imagined the USSR would no longer exist six years later ? Making nuclear policy for the United States is hard but it is immeasurably easier in 2007 than it was in 1957. The world has changed for the better, not for the worse. Let’s keep it that way. “….Entrusted with the mission of turning Iraq around, Petraeus turned out to be a marvelously focused and methodical killer, able to set aside the dysfunctional aspects of the doctrine he had signed off on. Given the responsibility of command, he recognized that, when all the frills are stripped away, counterinsurgency warfare is about killing those who need killing, helping those who need help – and knowing the difference between the two (we spent our first four years in Iraq striking out on all three counts). Although Petraeus has, indeed, concentrated many assets on helping those who need help, he grasped that, without providing durable security – which requires killing those who need killing – none of the reconstruction or reconciliation was going to stick. On the ground, Petraeus has supplied the missing kinetic half of the manual. The troubling aspect of all this for the Army’s intellectual integrity comes from the neo-Stalinist approach to history a number of the manual’s authors internalized during their pursuit of doctorates on “the best” American campuses. Instead of seeking to analyze the requirements of counterinsurgency warfare rigorously before proceeding to draw impartial conclusions based on a broad array of historical evidence, they took the academic’s path of first setting up their thesis, then citing only examples that supported it. The rest of the article continues in this vein, until no straw man remains standing and Peters emerges from the top of an ancient stone temple and hurls the severed head of LTC John Nagl down some steps to a savage crowd of painted milbloggers. I exaggerate here – but only slightly. Mao ZeDong is an odd historical choice for Peters to expound upon here, on several levels. First, while Mao is oft-cited in the annals of military history and counterinsurgency theory, the United States military is not in a position in Iraq that is analogous to Mao’s guerillas. Or Mao’s totalitarian dictatorship either. Secondly, Mao never fought the kind of thoroughly decimatory campaigns in the Chinese civil war that Peters clearly envisions – at least not against a formidible military opponent; whenever possible, Mao tried to politically co-opt the toughest warlords allied with the Kuomintang into the CCP. When giving battle, Mao’s forces usually suffered a beating at the hands of first-rate Nationallist armies. If anything, Mao’s military leadership was probably a greater menace to his own Red Army troops than to their Nationalist and Japanese enemies. Thirdly, by contrast, Chiang Kai-shek and the Imperial Japanese Army both undertook truly exterminatory campaigns in China, the former with the help of German advisers, against the Communists; and the latter with their “Loot All, Kill All, Burn All” scorched earth strategy. Unlike Mao, neither the Generalissimo nor the Japanese achieved any lasting success despite employing the most brutal tactics this side of Hitler’s Einsatzgruppen. “But I surmise that some of Peters’ annoyance comes from the fact that non-military professionals, in concert with their military counterparts, had a hand in the production of FM 3-24 as he takes exception to the doctrine’s use of the General Chang Ting-chen 20 / 80 percent quotation. Peters misses the mark here by misrepresenting FM 3-24’s intent of presenting the 20 / 80 “rule of thumb” as a metaphoric means of conveying that political factors are primary during COIN. ‘General Chang Ting-chen of Mao Zedong’s central committee once stated that revolutionary war was 80 percent political action and only 20 percent military. Such an assertion is arguable and certainly depends on the insurgency’s stage of development; it does, however, capture the fact that political factors have primacy in COIN. At the beginning of a COIN operation, military actions may appear predominant as security forces conduct operations to secure the populace and kill or capture insurgents; however, political objectives must guide the military’s approach. Commanders must, for example, consider how operations contribute to strengthening the HN government’s legitimacy and achieving U.S. political goals. In this section Dave did a nice job demonstrating, unlike Ralph Peters, the vital importance of context, both for scholarly accuracy as well as for the construction of valid historical analogies. “As delightful as it is to see anybody deflate Ralph Peters (although Peters has trumpeted his “kill them all” tough guy rhetoric for so long that he’s become a parody of himself), it’s disturbing that as astute an observer as Steve Metz has forsworn counterinsurgency and is pining away for tactics based on mass killings and genocide (… that the Roman method is more effective). Van Creveld makes a strong case in his latest book, The Changing Face of War, that this is true where local governments are fighting local insurgencies (which also covers Peters’ case of the Mau Mau insurgency in Kenya. Even there, however, the British were eventually forced out). When it comes to suppressing insurgencies that are fighting foreign occupiers, however, nothing has worked very well since about the middle of the 20th century. The Belgians probably hold the modern record for use of the Roman method, killing by some estimates 50% of the local population in the Congo, but were still driven out. The Soviets didn’t hesitate to use it, and where is their empire? We killed several million people in Southeast Asia. Gen Hermann Balck told Boyd that shifting the Schwerpunkt towards Leningrad would probably have worked, but in the end, the excellence of the German Army couldn’t compensate for the fanatical opposition generated by Hitler’s racial policies (van C notes that forces available to Germany for long-term occupation would have amounted to less than 1% of the population of the planned Nazi empire). While I am in general agreement with Dilegge and Richards in principle, I think that Chet has selected a particularly poor example to support his argument. The assumptions regarding Nazi occupation policy used by Martin van Creveld in his counterfactual example in The Changing Face of War (pp 214-219) to criticize fellow historian John Keegan are at best, highly arguable and at worst, wrong. We all like to see the good guys win and root against the Nazis but such a hypothetical argument based on relative demographics would not be accepted as proving that 4GW forces were doomed just because states like India and China have inexhaustible manpower reserves. Neither the Wehrmacht campaign against Tito’s Communist partisans in Yugoslavia nor SS operations in “the East” represent the whole spectrum of Nazi occupation policies or the advantages the Germans were exploiting or could have exploited. Hitler did not, as far as we are able to discern from records, intend for the Wehrmacht to permanently garrison every state in a postwar German Europe nor did he try to do so even while at war, except in extremis. Autonomous satellites under reliable military and radical right dictatorships, as in Axis Hungary and Romania, suited the Fuhrer perfectly, as did neutral regimes that were intimidated by Nazi might (Sweden, Switzerland) or with ideological affinity for National Socialism ( Spain, Portugal). A dystopian but functional Nazi “New Order”, leveraging local fifth column fascists and appeasing Nationalists in European countries, would have been no less viable than Stalin’s postwar Soviet bloc, which took several years to crush anticommunist guerilla armies in Ukraine. None of the above however, suggests that Peters is right; simply that most intelligent counterinsurgent powers, even Roman legions or Nazi Germans, will not entirely rely upon democidal tactics. The British assassinated the dreaded SS intel chief, Reinhard Heydrich not because he was cruel but because “the Hangman” was winning over the Czechs with astute occupation policies. Cartoonish appeals for indiscriminate general slaughter remain unhelpful and unwise for states fighting insurgencies, particular if these states profess to be liberal democracies.